It’s 36 outside this morning. The real November has arrived. This Thursday marks the first of December, and there are Christmas lights twinkling a little here and there when I drive after dark. The kids and I pulled out our Christmas decorations the day after Thanksgiving. I’ve still got a bit to do around here now that the heavy lifting of the remodel is out of the way, but it is slowly starting to feel like the home we love again. And I really think nothing can make you love your home more than watching it get taken apart and put back together again. It feels good to be back where we started – but with a few improvements which I’m grateful for. Our tree is quite a sight. It is dripping with ornaments, and I usually go along after the kids to rearrange in a more sensible way, but this year I didn’t. They’ll cluster 5 close together or insist that one particular one have a place at the top. Our mantle is adorned with kid crafts and not the least bit coordinated or symmetrical. But the way I look at it, I have so many years ahead of me where things will stay in their typical place, but for now, it’s important to me that they feel ownership here. They are at this perfect age where they don’t require nearly as much hands-on constant involvement as years past – no diapers (hallelujah, never again), no bag of extra clothing when we leave the house, no strollers or carriers or special accommodations. They dress themselves and brush their own teeth and generally listen if I tell them to play for a while in the other room so that I can get dinner done. But they are also easily impressed and still at that age where they are curious and want to learn and genuinely like spending time with parents. I can finally exhale a little with them after 2 years of life’s outrageous demands. It feels easy when it is just the three of us, and it’s natural to take that for granted or focus on other salt on the melon like sibling arguments and messy rooms, but as I think back on life with a newborn and a two year old or those first months of single parenthood when my youngest was only two, I gain a lot of gratitude and perspective. I’ve spent part of the holiday break alone as well, and I’m grateful for that, too. I’ve listened to podcasts, put the house back together, and read a good bit of Mary Karr’s The Art of Memoir. I’ve cooked a lot as well – both for Thanksgiving and to stock my freezer for the weeks ahead. 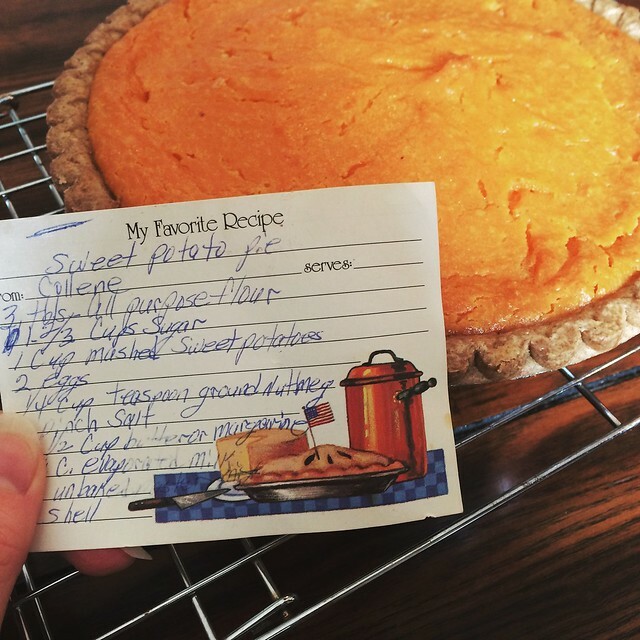 Thursday morning, I had some time alone before the kids got home, and I baked a sweet potato pie from a scribbled recipe card I found in my grandmother’s things this summer. I have felt that so many times while writing. I think I referred to it once before as feeling the walls for a light switch. And it’s only when I land on that truth that I know that the writing did what it is supposed to do – for me and for you as the reader. 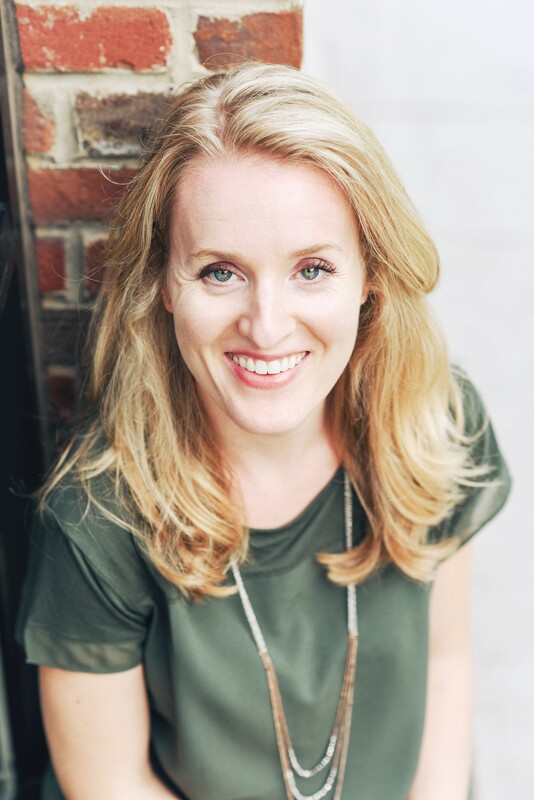 And it is the moments when I have landed on an especially hard-to-swallow piece of my story that readers have reacted most strongly and sincerely. I read something recently that phrased it as the truth has legs to stand up when everything else falls away, and I love that. As the dust settles from the last few years of my life, I am seeing this – that you cannot hide truth, you cannot run from it. And when you claim it for what it is, you stand a little taller inside and see things with a lot more clarity. I was poking around at the etymology of the word true and found that in Old Irish, it was referred to as derb, which sometimes also meant tree. How perfect is that? Getting to that tree can be hard. You have to be still and lose the impulse to protect your ego. You sometimes have to wade through past experiences and memories that make you ache to revisit them. But that image of a tree is precisely what truth feels like when you land on it – strong and steady and incapable of withering or arguing or comparing. It just is. It is 6:30 pm, and the kids are gone this weekend. The dryer is humming with the week’s laundry and it’s pouring outside. That summer rain that comes down in buckets through the August heat and washes everything away for a while. Tomorrow marks 8 weeks that my grandmother has been gone. When my phone rang just after 5am that morning, I knew. I didn’t have to hear what was coming next when I answered my mother’s voice. When I drove over to her house, it was a couple hours later. Mid-morning after a Sunday sunrise, and I listened to Patty Griffin sing all the way there. I can never hear that song again without my eyes stinging and my throat tightening. Open your eyes, boy, we made it through the night. Let’s take a walk on the bridge, right over this mess. It always feels like you’ve made it through the night. For a minute. But then you see another one on the horizon, another bridge you have to scale. Grief ebbs and flows. I’m missing her today. One day, I will stop writing about this. But not today. Not on day 55. I can remember years ago, someone I knew lost her brother to a brain tumor, and her friend said to me that she was hard to talk to anymore. It’s like it’s all she wants to talk about, but eventually, you just have to get over it, you know? But do you? What does “get over it” even mean? I’m in the middle of my story, and I cannot see my way out yet. But I can see the narrative forming already. I know a day is coming when I will look back and think, remember that time when I was alone and writing, writing, writing my way out of some hole like words were a shovel? Loss after loss and unfamiliar terrain everywhere. Remember that time when I spent Saturday mornings alone in bed with books and words in front of me and ate alone and slept alone and ran my hands along the walls of my unfamiliar grief until I found a light switch? We are still sorting through her things, little bits at a time. I had an empty afternoon today, so I went to see my Grandad and cleaned a few closets of her clothing. I found my wedding dress in the back of a closet left from a time when I was a newlywed in a little house learning to cook from the back of a Campbell’s soup can, and she had more storage than I did, so I left it there. It seems like some unfamiliar relic when I take a close look at it. All I can think as I see it is if I knew then what I know now. If I knew then what I know now. If I knew then what I know now. Today I found, among folded sheets and towels, one of the gowns she wore while home on hospice. It is gray with pink flowers and a slit cut straight up the back so that we could easily keep her clean and comfortable. It still smells like her. If I knew then what I know now. If I knew then what I know now. But we never know now what we will one day see in retrospect, do we? Some days, I still can’t believe that this is my life, that these are my hours. That this place is where it’s led me. I miss her so much, but as I look through her things and think about the 35 years I spent with her, I also find myself doing that thing humans always do, missing the way it used to be – all of it. 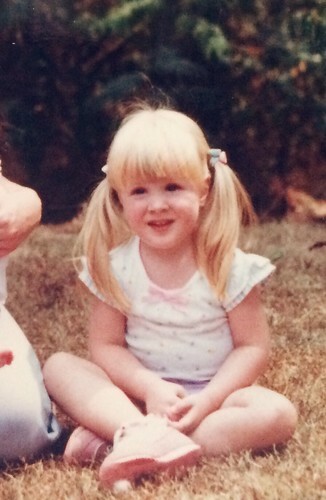 I miss childhood and barefoot summers with afternoons spent in front of the oscillating fan on her living room floor. I miss knowing that she was there in the periphery of my life, like a permanent piece, though of course she was never meant to stay. None of us are. Once you break, you can’t go back. But it’s easy to miss what it felt like to be clean and whole. I’ve seen art made from shattered pieces of glass, and it’s incredible. It glints and shines and takes a new form so much more interesting and beautiful than something solid and flawless and predictable. I think people are the same way. After you break and put it all back together to something new, you glint and shine in an entirely new way. I’m getting pretty good at knowing if someone has broken before and put themselves back together in a more beautiful way. It’s an obvious glimmer like no other when you learn how to recognize it. My grandmother had it. She broke and put herself back together again and again, and now I get it. In that same Patty Griffin song, she also sings, It’s hard to live. But I still think it’s the best bet. It’s hard to live. It’s okay that it’s hard. It’s okay to not be okay. I know all these things, I do. But I’ll be glad when this becomes a story.